BARCELONA, CATALONIA, SPAIN - Circa October, 2014 - Tourists visit the Arc de Triomf in Barcelona. 4k00:07BARCELONA, SPAIN - JAN, 2 2015: The Arc de Triomf is the triumphal arch in Barcelona. It was built as the main access gate for the 1888 Barcelona World Fair by architect Josep Vilaseca i Casanovas. 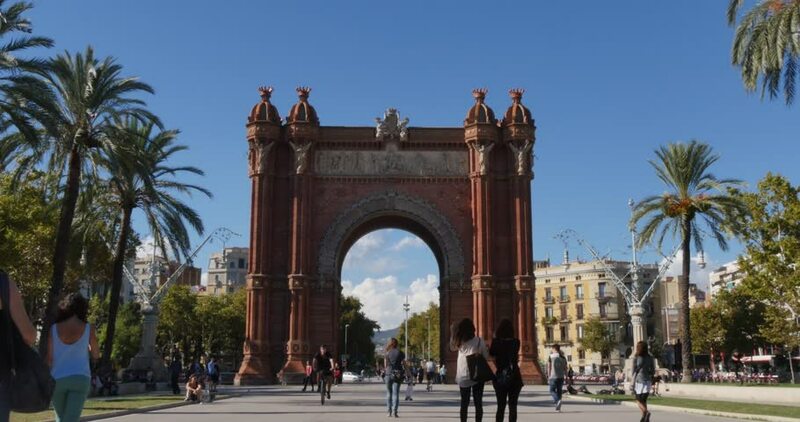 4k00:05BARCELONA, SPAIN - JAN, 2015: The Arc de Triomf is the triumphal arch in Barcelona. It was built as the main access gate for the 1888 Barcelona World Fair by architect Josep Vilaseca i Casanovas.